Two sealed envelopes are placed before you. Both contain money, but one contains twice the amount in the other. You select one envelope at random, where its contents are yours to keep. 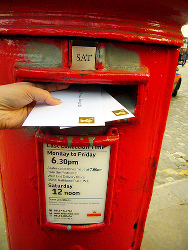 Before opening it, however, you are given the choice to exchange them for the contents of the other envelope. A boy argues that if you make the exchange, you stand to gain more than you stand to lose. For the other envelope contains either double or half the amount in yours. So, if you gain, you will gain an amount equal to the amount in your envelope, whereas, if you lose, you will lose only half of that amount. A girl counters that this is nonsense. If you make the exchange, she says, you stand to gain the same amount as you stand to lose. For, if you gain, you will gain the difference between the two envelopes, and if you lose, you will lose that same difference. This is Raymond Smullyan’s version of the two-envelope problem. See his 1997 book, The Riddle of Scheherazade and Other Amazing Puzzles.